The new Dragon Ball 2015 movie is fast approaching us and although we recently saw the new form of Frieza it looks like Goku and Vegeta might get a new form too. 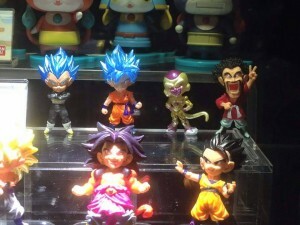 These are prototype toys similar to the WCF series and show Vegeta and Goku in their new Blue Hair forms. If this is true it looks like Vegeta might skip a power up much like he skipped out on Super Saiyan 3 Vegeta mode. This time he might skip out Saiyan God Vegeta and just go straight to the powerful blue hair version.